Earlier this year, my younger daughter wanted to take a stab at making soap. She was (and is) a bit young to fly solo, but she was able to plan and design her soap and handle the inert ingredients. In all, she did enough to make this soap hers. 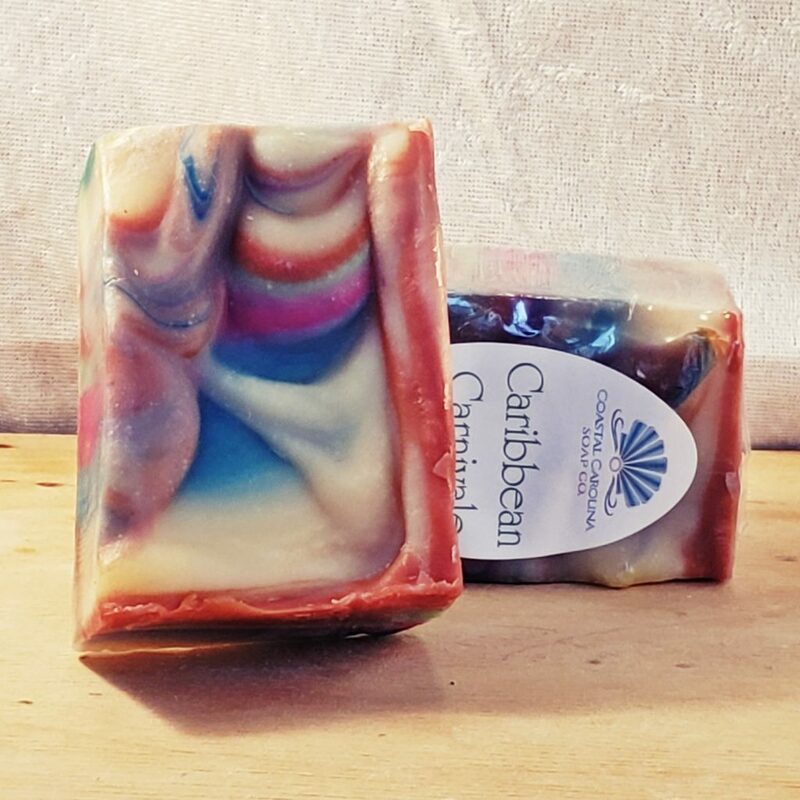 As you can see from the pictures, these soaps are totally gorgeous! 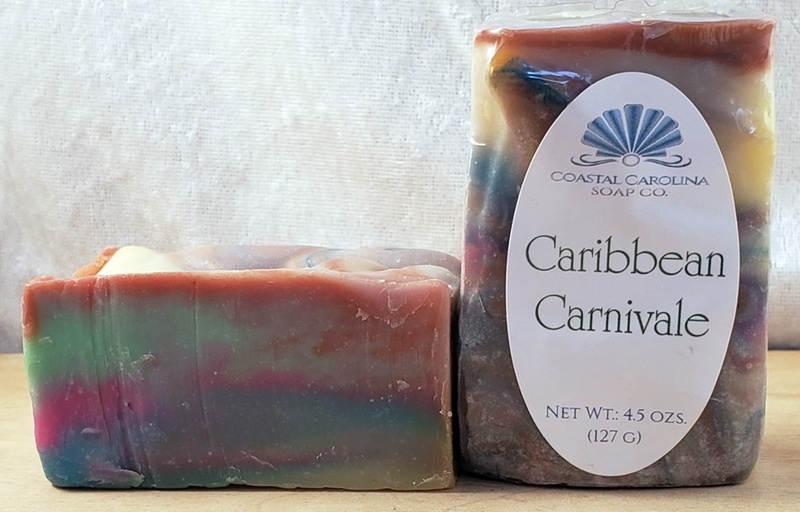 They perfectly capture the exuberance and effervescence of Carnivale on a Caribbean island. They’re bright, bold, and lively. Their scent, you ask? A fresh, zesty bergamot and tangerine blend will practically make your head spin with its citrus blast. My daughter says the swirls are like the sunset on the ocean. You can see the fiery blaze of the setting sun around two of the edges and the sun burnishing the waves with shades of red and purple. What an amazing way to bring the beach to your bath – an exotic, Caribbean beach! To bring this little bit of the beach home – and Caribbean beaches are absolutely gorgeous! – take a stroll through our web boutique and pick up one of these special, limited edition soaps before they’re all gone. I’m always on the lookout for amazing beaches. Got a favorite? Tell us all about it in the comments.